Heading into a divorce, you’re likely so overwhelmed with legal, emotional and financial issues that probably the last thing you want to be thinking about is how it’s going to impact your taxes. But considering the tax effects of your decisions can make a big difference to your financial situation down the road. Filing Status: In general, whether you file as Single, Head of Household, or Married Filing Jointly (or Separately) is entirely based on your marital status on the last day of the tax year. If your divorce is final as of December 31, you will file either as Single or Head of Household (if you are the custodial parent to at least one dependent child). If your divorce is still in the works as of December 31, you will have to file Married Filing Jointly or Married Filing Separately. However, there is an exception to this rule: you can file as Head of Household while still married as long as you lived apart from your spouse for at least six months and otherwise fulfill the Head of Household requirements. Selling Your House: The house is usually among a divorcing couple’s most valuable assets, and selling it can have huge tax implications. 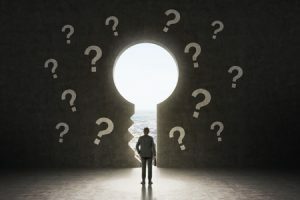 You may know that a single person can exclude $250,000 of capital gain upon the sale of their home, and that a married couple can exclude $500,000, so long as they have lived in the house for at least two of the past five years. If the house is sold immediately pursuant to a divorce, each spouse will be entitled to a $250,000 exclusion (so long as the residency requirement is met). Whether to keep or sell the house, and who retains ownership, should be a well-considered decision. For example, if you and your spouse decide to retain joint ownership but only you and your children live in the house, although it may make sense from a financial and tax perspective, that arrangement keeps you and your ex-spouse legally and financially entwined in a way that may not be beneficial to both of you. In such a case, each spouse would be entitled to the $250,000 exclusion upon the ultimate sale of the house, even if only one satisfies the residency requirement. Spousal Support: For divorces final by the end of 2018, spousal support is generally treated as taxable income to the recipient and deductible by the payor. However, the spouses may choose to opt out of considering payments as alimony for tax purposes, as long as it is recorded in the divorce decree and the recipient spouse attaches the decree to his or her tax return every year of such payments. However, the new tax bill changes all this; for all divorce or separation agreements signed after 2018, alimony no longer has any tax effects. Child Support: Child support payments have no tax effects – you cannot deduct them if you pay them, and you do not have to include them as taxable income if you receive them. If the payor pays less than the full amount of child support and spousal support, then the partial payment is first considered child support and any remainder is considered spousal support. Claiming the Children: The custodial parent (who has custody of the child for more than half the year) is entitled to the exemption for the child. However, the divorce decree can award the exemption to the other parent for a period of time; in that case, the custodial parent will be required to file Form 8332, releasing the exemption to the non-custodial parent. The parent claiming the child in any given year may also claim the child tax credit; however, the earned income credit, Head of Household status and childcare expenses may only be claimed by the custodial parent, regardless of which parent claims the exemption. You may be facing even further tax issues in your divorce: retirement plans, allocating jointly paid estimated taxes or prior year tax carryforwards, property settlements instead of (or in addition to) alimony. For any of these cases, before you sign your divorce decree, it’s wise to consult a financial professional who understands the tax issues surrounding divorce – even better if you can involve them earlier in the process. Note: Tax laws are constantly changing; the facts in this blog are accurate as of January 22, 2018. Allison Bishop is a financial coach with twenty years experience as a CPA. She started her financial coaching business in 2015 after seeing a real need for unbiased, sensible, and empathetic financial advice, and earned the Certified Divorce Financial Analyst designation in 2017. 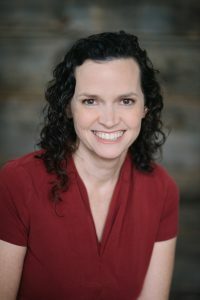 Allison graduated from the College of William & Mary in 1997 with a degree in Business Administration, and earned her CPA license shortly afterwards. She started her career with a traditional accounting firm in Washington DC, and then transitioned into forensic accounting and litigation consulting. Upon moving to Maine, she spent twelve years preparing taxes for an accounting firm in Portland. She served as a trustee of the Falmouth Memorial Library for ten years, including six as Treasurer, and recently served as co-chair of the Library’s successful $2.8 million capital campaign. Search for a Collaborative Attorney, Coach and/or Financial Professional in the state of Maine. Copyright © 2019 Maine Collaborative Law Alliance. Powered by WordPress. Theme: Accelerate by ThemeGrill.